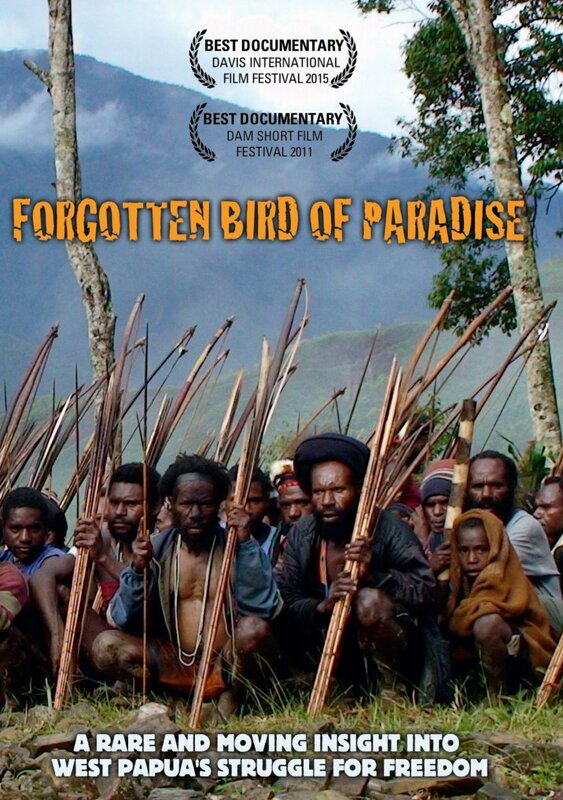 Multi-award winning undercover documentary Forgotten Bird of Paradise, provides a rare and moving insight into the struggle for independence that has gripped West Papua since 1962. It includes never before seen footage of Papuan freedom fighters at their stronghold deep in the jungle, as well as interviews with human rights victims of the Indonesian regime, and footage showing the reality of daily life for those living under Indonesian colonial rule. Most startling of all is an interview conducted with high profile political prisoner Yusak Pakage. He was jailed for ten years for taking part in a peaceful flag-raising ceremony, and is recognised by Amnesty International as a ‘prisoner of conscience’. The interview with Pakage was recorded in secret during a hospital visit where he was receiving treatment for torture. The documentary also provides an insight into developments on the international arena including the launch of the International Parliamentarians for West Papua. This has seen a growing number of politicians collectively raise their voices against the ongoing occupation, and support the right to self-determination of the Papuan people. Frequently breathtaking and thought provoking, Forgotten Bird of Paradise provides a remarkable insight into a world where ancient traditions and cultures live on into the modern age. Above all it shows the inspiring resilience of a people who have suffered so much under Indonesian occupation, but whose determination for freedom burns stronger now than at any time in history. Finally their cries are starting to be heard.